a very weird press conference..
Weird Is this from yesterday? they both look to me like two very good obedient pupils! The presentation is somewhat amusing although I cant exactly say why that is. That is properly it, it is dramatic in a typical Ferrari fashion, Montezemolo really sees himself as the big boss. It is also somewhat uncomfortable at stages. I really hope that the plan with this wing is to improve the front end of the car. It seems like the plan. The way Kimi talks has been much discussed throughout the years, people always think it is dead boring, but I must admit watching this press conference I am reminded that Alonso's way of talking has always been the most boring to me of all the drivers. 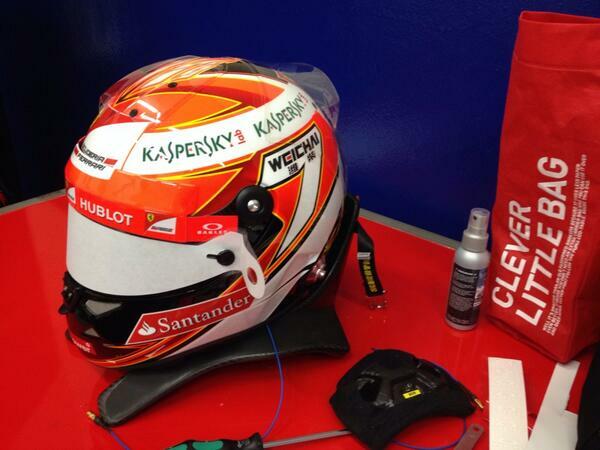 #WelcomebackKimi We're preparing your helmet! The #F14T is waiting for you! Two-time Formula One world champion Fernando Alonso has stressed he is happy to work alongside Kimi Raikkonen as the Finn returns to Ferrari after a five-year absence. Raikkonen was the last man to win the drivers' championship with the Italian team back in 2007 as Alonso's four-year spell has coincided with Sebastian Vettel and Red Bull's reign of dominance. The Spaniard could at least be assured of his superiority within his own team in recent years, but with the more decorated Raikkonen having replaced Felipe Massa there has been no clear word out of the team's headquarters in Maranello over who will be their No 1 driver. It is not the first time that Alonso has been challenged by the arrival of a teammate as he was usurped by an inexperienced Lewis Hamilton during an unhappy one season stay at McLaren in 2007. However, Alonso said he would do whatever it takes to help Ferrari get back on top in 2014. 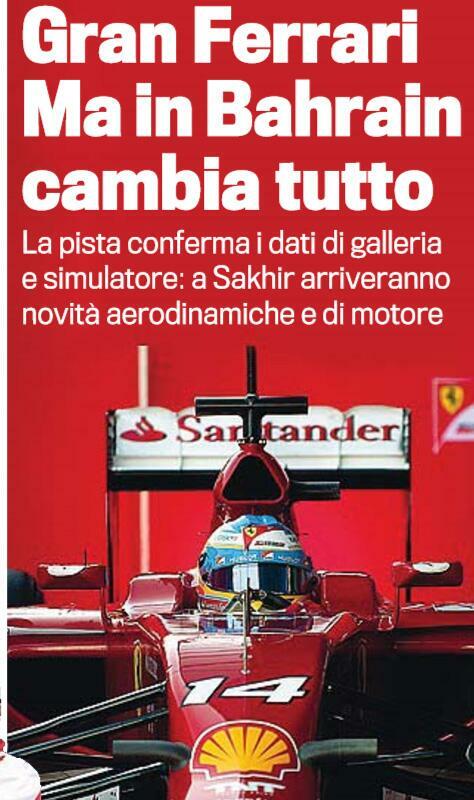 "With Kimi we were together in Maranello for a couple of days on some promotional things. At that point it was half work, half fun, though, so we have plenty more work together to come. "Every evening we have a report with every lap Kimi did in the first two days and every lap I did today. "We work together, as we always have during these four years in Ferrari. After that we talk with the engineers every evening as well to work out any problems we might be less aware of as drivers. "In terms of performance we just do whatever the team needs us to do." Alonso got his first taste of action in the F14-T as Ferrari consolidated their solid start to the season on the third day of pre-season testing in Jerez on Thursday. The 2005 and 2006 world champion logged 58 laps as he finished fifth fastest. And he believes mileage rather than speed is key early on as the entire paddock adjusts to a series of new technical regulations that have forced significant changes to the cars from last season. "The car just got onto the track three days ago and we are still in the very early stages. "We need to do as many laps as possible here and (at the next testing session) in Bahrain because any lap is welcome given the change in the rules and the information the laps give us. "We had a couple of months not driving and just being on the simulator so going back to the real car on a nice sunny day was very good." One of the teams that has struggled most with the change in rules has been Red Bull as they have managed just 14 laps through three days of testing. However, Alonso is not yet taking it for granted that Vettel will be hampered by a significantly inferior car than he has over the past four years. "The media always make a lot of the testing because there are only two or three in the year. It is normal that everything becomes bigger if you have a good day or a bad day. "In terms of preparation and approach, the Australian Grand Prix is what you need to aim for and we still have so many things to learn before then." By laps counted Ferrari lies in 2nd place behind Mercedes. The fourth fastest lap of the test week did not bother Ferrari. The red cars were going with a certain reserve. Most pleasent conclusion: There were no major problems and the wind tunnel data is consistent with the lap times on the track. That was the best first week of testing by Ferrari in recent years. Team spokesman Renato Bisignani was speaking for race director Stefano Domenicali. Ferrari goes home with "cautious optimism". Because in a long time the signs weren't that good. First time the aerodynamics didn't scratch their head after the test premiere. The wind tunnel data is consistent with what the track shows. Therefore Ferrari used as the first team Flow Viz paint and all sorts of measuring device. Also the reliability report will satisfy President Luca di Montezemolo. Not a single major damage at four test days. "There were only minor problems, which can be expected at a first test. Given the complexity of the task, we had expected more teething problems." Like faulty sensors, error messages, software tweaking. The new power unit did its first 251 laps or 1111.4 kilometers without complaint. Only Mercedes managed more. Kimi Raikkonen drove on Wednesday with 1:24.812 minutes, the fourth fastest time of the week. According to Ferrari the limits were explored only to 80 percent. Team spokesman Bisignani: "It was a standpoint that has shown us that we have a good base." In the software tuning Ferrari built in a maximum flexibility. They could respond to any problems, they say. In the first test in Bahrain Ferrari will start with a modified version of the power unit. As long as the development is not frozen this has the priority. Reliability is especially in the beginning a factor. Only at 28 February is the end of development. At the second Bahrain test Ferrari wants to bring the first true aerodynamic upgrade. One can assume a new nose, new wings and plates. At the sidepods there is still room but not much. They are the smallest of all new cars. A new cooling system, saving 15 percent of place, makes that possible. Ferrari doesn't comment that officially. The only statement: "We've got something special there." If there's some truth when they say that driving in F1 in 2014 is like driving on ice, then who's better to get on with it than Kimi Räikkönen. He comes from a country with a serious winter, but above all, he gives his sensitive driving the will of a rallyman. And it was seen at Jerez, while exiting the corners, when the ERS discharges "automaticly" the electric engine, he struggled less than the rest.